A modern house squeezed in between traditional or conventional homes is not unusual in Japan. 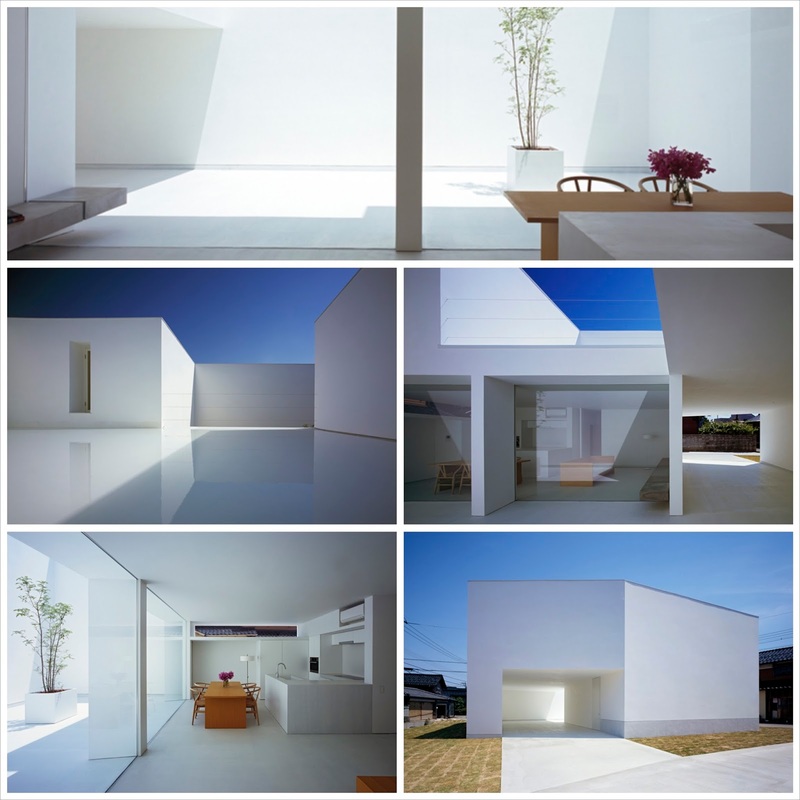 A great example is a recently finished house by Tokyo firm Takuro Yamamoto Architects. It is an ode to monolithic modernism, an ice-cube shaped block built on a suburban plot in Kanazawa, an old castle town on the sea of Japan. As Kanazawa is bordered by the Japanese Alps, it's not surprising that the clients requested that their new home be 'snow-proofed'. Yamamoto designed the home with a covered entrance passage to protect owners from winter snowfall and fittingly called it Cave. He also placed interconnecting rooms around an angled central courtyard in order to bring in light and reduce the need for external windows – and, no doubt, the view into neighbours' properties. This ice-cube shaped house in Kanazawa Japan is designed by Takuro Yamamoto Architects; photography by Kenichi Suzuki.